Would like to provide the form user with a bulleted list to edit. Have tried making a bulleted list the default for the text area. Unfortunatley line breaks ( or <br /> in HTML) and ignored and JotForm presents the default as one long line of text. 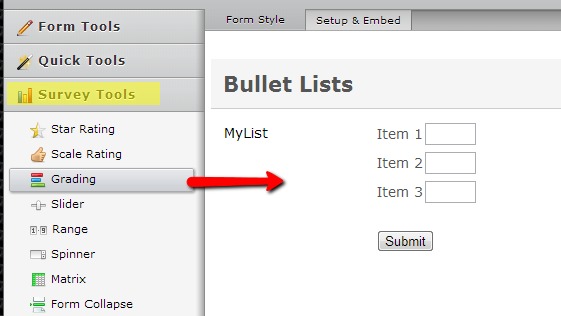 Currently, there is no bulleted lists type of field available in the form builder. But you can make use of the fields available in the Survey tools -- specifically the grading tool or the matrix field for this purpose. Inform us if this cannot for you.